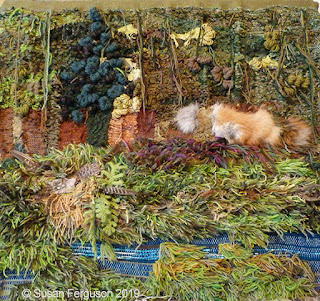 "Forest," my first large-scale wall hanging in the Environments series planned for 2019, is completed. This work measures 38 inches wide x 36 inches high. Components include yarns, mylar balloons, inflatable vinyl pillows, pine tree bark slabs, pheasant feathers and fox fur. 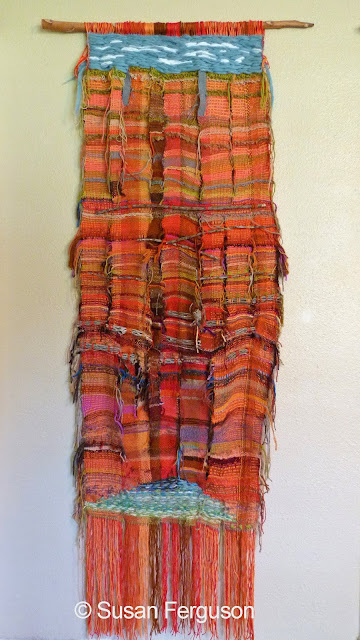 This is the first project completed on the 48-inch rigid heddle loom acquired in August 2018. 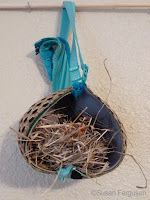 Weaving, knot tying and mounting took about 130 hours to complete. Thank you to the KC Regional Arts Council for its generosity in the form of a 2018 Inspiration Grant.